Seiko (NSK) developed to reduce manual transmission (MT) and the double-clutch gearbox (DCT) and other friction loss, reducing the number of components to achieve a small lightweight sealed ball bearings. MT and DCT goal is growing demand in Europe and emerging markets to expand sales in 2018 so that the product's sales reached 1.8 billion yen. New products are characterized by way of seals from the seal groove to direct contact method. 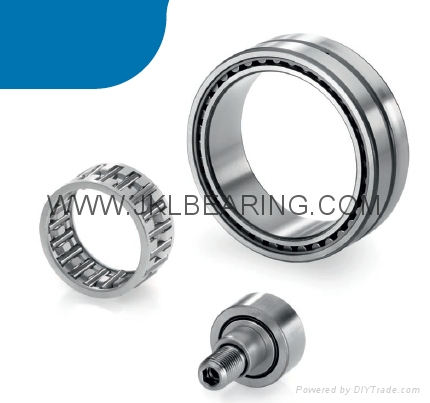 MT and DCT supporting ball bearings in order to prevent gear wear powder foreign invasion, must be sealed, how to reduce friction when sliding seals to become a major issue. Previously used method is the inner ring seal groove in outer surface design of the seal groove, the sealing side of the seal ring groove edges. Since the sealing ring groove is very close to the edge and is, therefore close to the seal groove of the inner ring edge portion having a diameter slightly smaller done, otherwise, the inner wheel side near the edge of the seal groove and the higher will be thin projection, causes reduction in strength. The side surface of the inner ring inner diameter of the adjacent gear wheels in contact with the side. Adjacent gear synchronizer Nie Pops, due to helical gears, so the gear will be squeezed by virtue of the axial thrust generated by the inner wheel. When synchronization is not Nie Pops, gear and inner wheel speed is different. Either case would wear occurs. Of the inner ring at the edge near the ring diameter small, the contact area will become smaller, so that pressure on increasing wear. Thus, the original bearings and gear washer is interposed between the convex portion, the convex portion of the gear in contact with the gasket.